I love all kind of seafood. Lobster, crab, shrimp, mussels, oysters, all wonderful! When we were taking our sunset walk down to the harbor, I noticed a mini van with a couple sitting in it reading, looking at the bay. There was writing on their van, Crab meat for sale, 8 oz and 16 oz, I told hubs to knock on their window and see if they had any left. The lady passenger laughed and said, “Sure!” Yippee for me, crab cakes are on the menu tonight!! In a large bowl, combine all ingredients except for Olive Oil. Divide mixture into 8 portions. Shape into 2 inch balls. Flatten to 1/2 inch thickness. In a large Iron Skillet, heat skillet on medium heat. 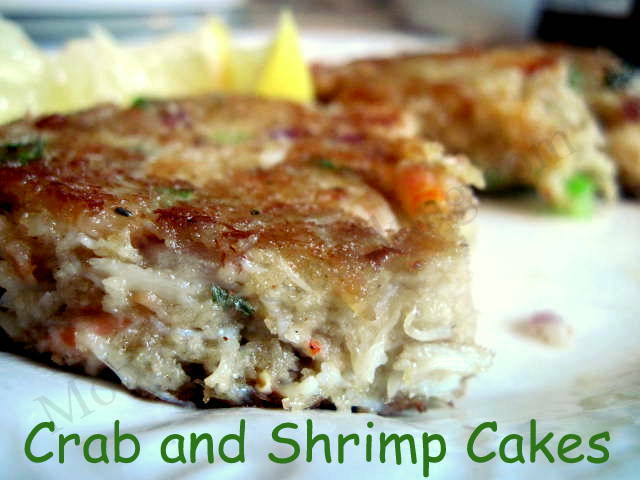 Add Olive Oil, cook crab cakes for 3-4 minutes on each side or until golden brown. Sounds and looks delicious. Thanks for sharing, I am pinning as well.